By Sofia AK in Mobile. Updated on November 18, 2017 . Tired of seeing the same picture whenever someone calls you? 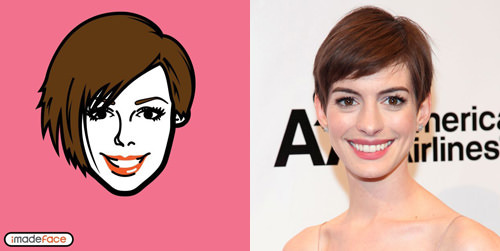 Are your social site profile picture or avatar a little dull? 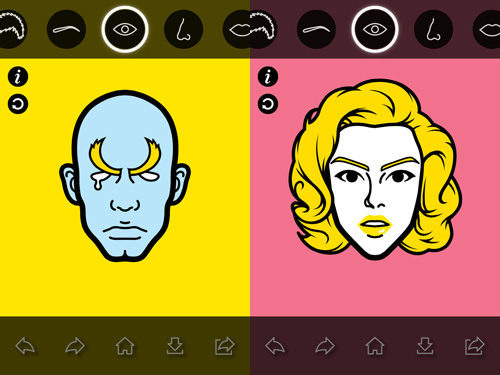 How about trying to spice it up a little by turning your contacts or even yourself cartoony? 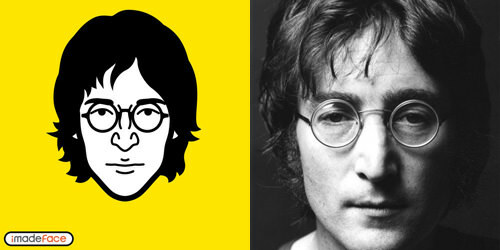 You can even experiment with your favorite actor, artist or idol’s faces, or just let your creativity run wild. 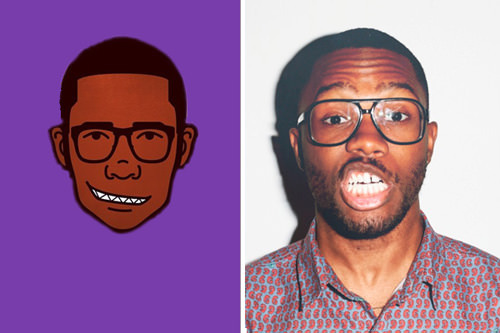 iMadeFace is an app where you can create a cartoonized/comic version of yourself or of anyone that you want to. 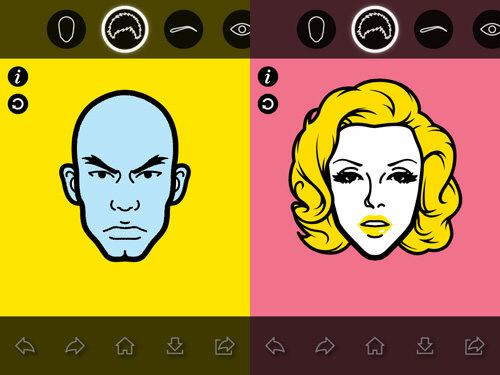 You can use the faces you created for contacts, avatars, and more. 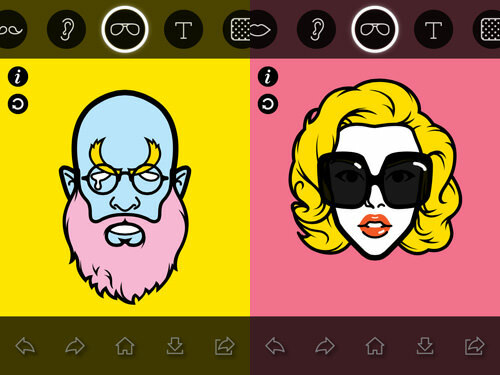 To start, download the iMadeFace app. Open the app. Pick a gender: boy or girl? You will get a quick single-page tutorial on how to use the app. On the top bar, you can find the face parts. 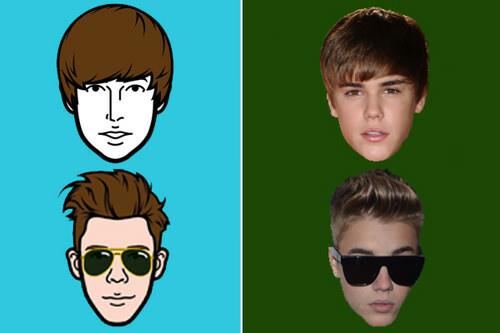 From left to right – face shape, hairstyle, eyebrows style, eyes shape, nose shape, mouth/lips, facial hair (for boy), ears shape and accessory. There are also options for text input and you can change the background too. You are given around 15 to 30 choices in facial part. Swipe through the choices to find the perfect part. Not only that, in some of the parts you were given the option to change the part colors. Changing the eyes part might be on of the most fun part of this app. 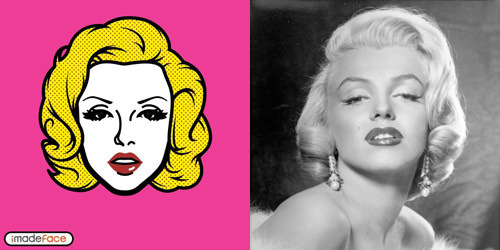 You can set the eyes from a beautiful one to a totally comical one. 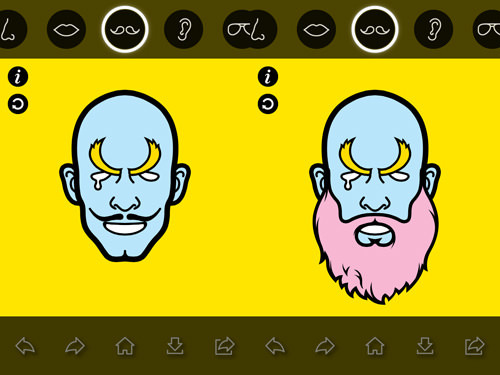 And if you set the gender as boy, you’ll get an extra face part which is the facial hair, complete with color change! 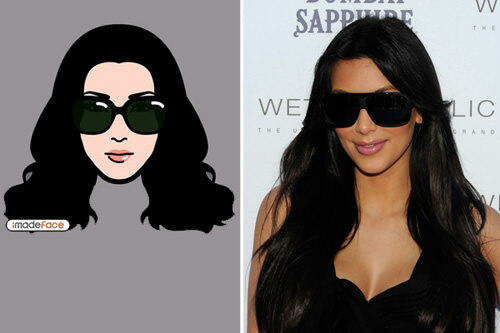 As for accessory, for now there’s only the shades/glasses accessory available. When you’re done and satisfied with your creation, you can choose to save it in the app gallery, or save it in your iPhone camera roll. You can share it to Twitter and Facebook as well. 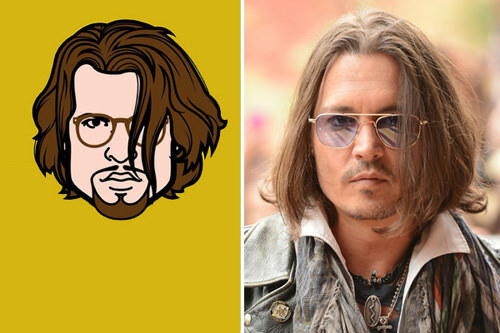 These are some examples of celebrities that have been given the iMadeFace treatment. 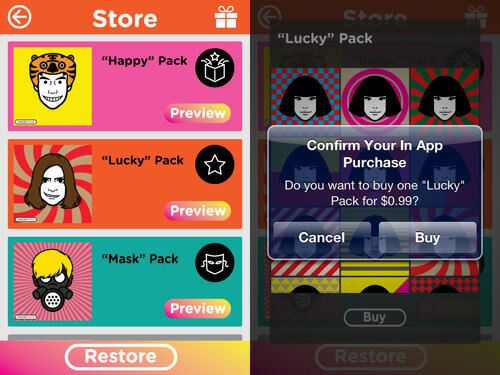 If you find that there’s not enough choices in parts, tap on ‘Store’ and you can buy the listed pack for $0.99. You get free updates to the purchased packs, for life. 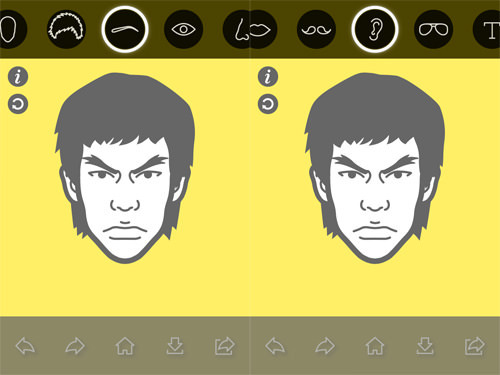 And if you’re feeling lazy, you can shake your phone to the left or right to create a random face. 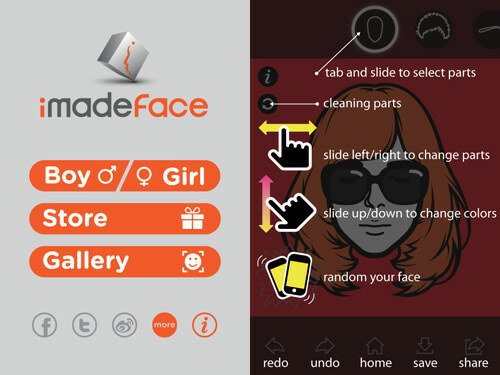 Currently this app is only available for iOS platform as there is still no support of this app for Android platform. But worry not as the Android version is ‘under progress’.